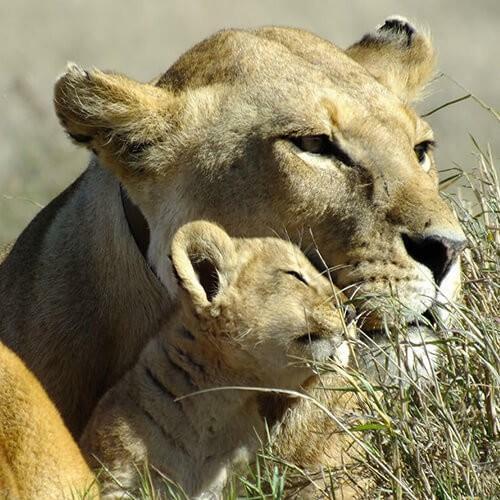 The Rongai route offers the best chance to experience the wildlife surrounding Mt. 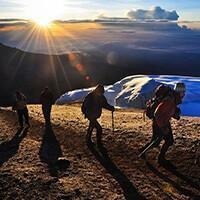 Kilimanjaro and it is one of the quietest routes on the mountain. 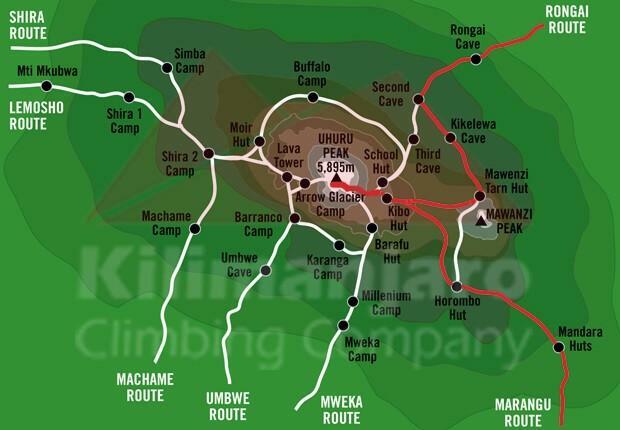 Over a period of 7 days, the Rongai route offers ample time to acclimatise. 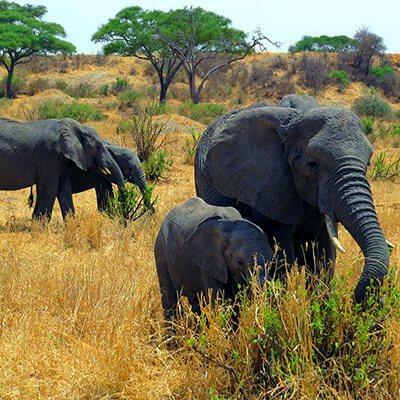 It starts on the North Eastern side of Kilimanjaro close to the border with Kenya. 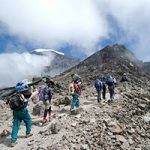 The Rongai route passes close to Mawenzi before joining the Marangu Route at Kibo Hut and ascending to Gilman’s point before heading for Uhuru Peak. 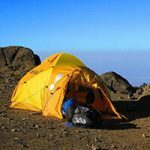 Descent is via the Marangu Route with a night spent at Horombo Hut before heading to Marangu Gate. After breakfast in your hotel you will be given an overall briefing from your guide. At 9am you will be met by the rest of our guides and porters and then we will drive you to the Kilimanjaro National Park. 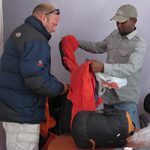 While officially registering for your climb at Marangu Park Gate, our staff will do a final cross-check of equipment and supplies and pack the vehicles. After the registration you will be shuttled a further 70 kilometers on poor roads to the Rongai Start Point at 1.950 meters. 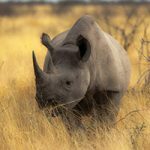 The trek begins from Nale Moru village and follows a gradual and winding trail that first crosses maize and potato fields before entering the rainforest which is occupied by various wildlife. After 4-5 hours trekking, you will be welcomed with boiled washing water and some snacks before dinner is served in the mess-tent. You will be woken up after your first night on the mountain with a nice cup of coffee, tea or hot chocolate at 06:30am in your tent. After breakfast you start your climb on a trail continuing up towards Kibo. 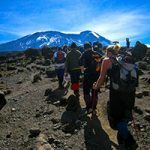 For most of the day you will be walking up slopes flanked with heather and erica with a nice view on the twin peaks of Kilimanjaro – Mawenzi and Kibo and your first glimpse of the ice fields on the Eastern crater rim. Once we approach second cave our cook will welcome you in the camp with boiled drinking water and hot washing water. You can put your feet up with some snacks and a hot lunch. After lunch, there is plenty of time to relax and enjoy the spirit of the camp and to take pictures. From Second Cave the path takes an abrupt south-easterly turn directly towards the jagged peak of Mawenzi. 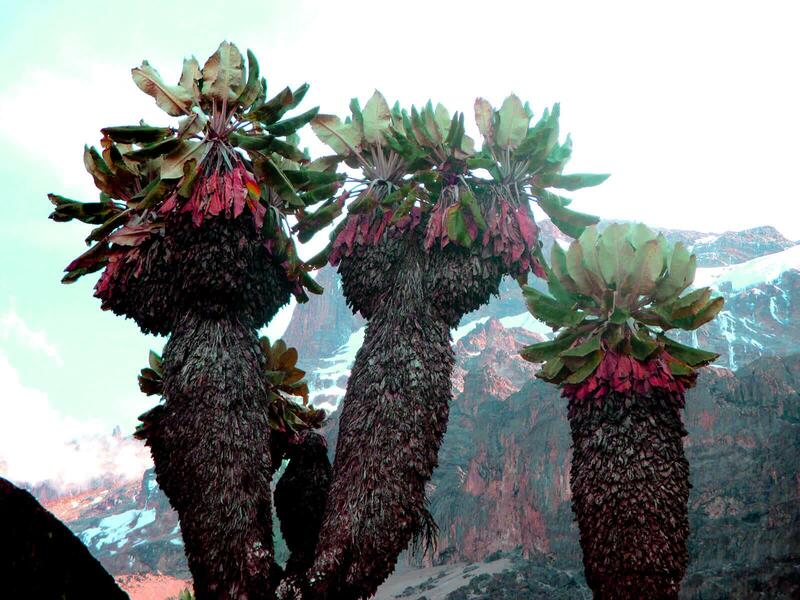 Traversing open moorland you stumble into Kikelewa Camp, situated by a couple of caves by the Kikelewa River with giant groundsels and lobelias flourishing nearby. 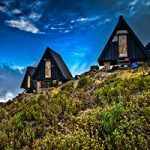 The views start to open up and from Kikelewa Camp and you will see for yourself how huge Mt. 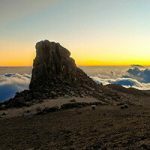 Kilimanjaro is. 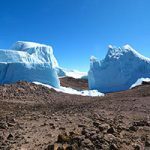 This lovely day begins with a slight retracing of your steps before you strike out west-wards, crossing the ridge and dropping down the slope to tiptoe along the beautiful barren Saddle's northern edge. With views like screensavers to east and west, this day is the most favoured day on the mountain. 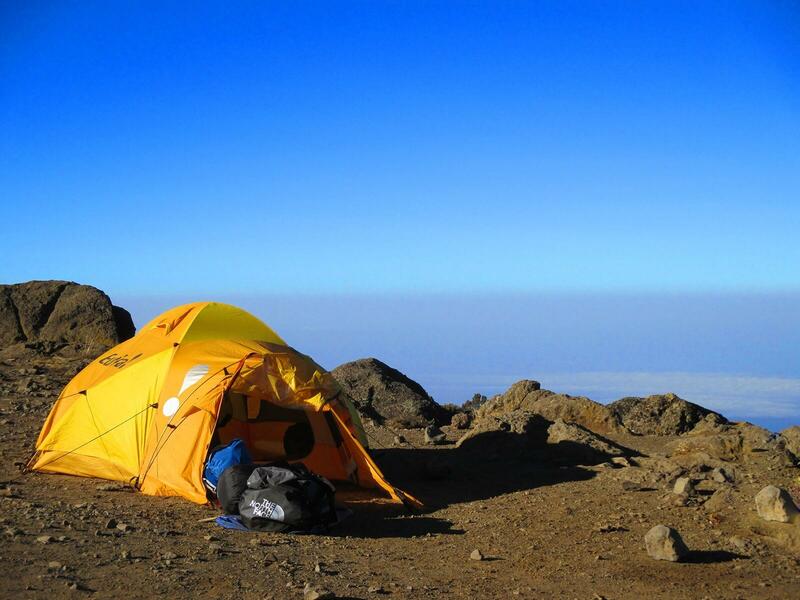 Our destination for today will be Kibo Campsite, which offers you again a spectacular view on the Kibo. We will arrive at the camp very early and you get served hot lunch. In the afternoon our guides will give you a final briefing to prepare you for the summit day. Time to relax, to cross check and prepare your equipment and clothing. Dinner will be served very early to give you ample time to rest and sleep. Good food, lots of water and sleep are the keys for a successful summit. We advise you to be to bed before 7pm to be rested for your wake up hot drink at 11:30pm. The wake-up tea will be served at 11:30pm with the departure at midnight. After a hot drink and some biscuits we will start the challenge for the summit. Our initial 6 hour climb begins in the dark with only our headlamps and guides to show us the way. Just remember the golden rule 'pole, pole', which means slowly, slowly. There are a number of landmarks on the way: William's Point at 5.131m, Hans Meyer Cave at 5.259m that act as milestones break up the journey and provides you with some measure of your progress. At Gilman's Point (5.681m) you will see what might be the most magnify-cent sunrise in your life so far. After taking some pictures at the sign and enjoying a fantastic view of Mawenzi, we continue our climb on a part of the Marangu Route for 1-2 more hours to reach your ultimate goal – the summit – the highest peak of Africa – Uhuru Peak at 5.985m. Congratulations! You are now standing on 'the roof of Africa'. 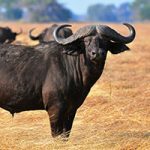 Our guides will take pictures of you and post it on Facebook for your family and friends at home. After a few minutes spent at the summit, due to the altitude and the cold, it is important to start our descent. 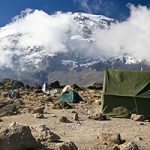 After the descent the rest of our team will congratulate you and welcome you with a hot lunch at Kibo Camp. 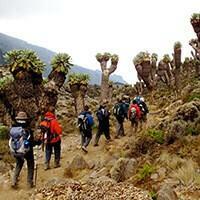 You will have the chance for a break before we start the next descent to Horombo Hut. After this long day, you can enjoy your dinner and your last night on the mountain. 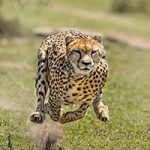 Once again you will be woken for your final celebratory break-fast where our team will thank and con-gratulate you in their unique, special way! This is also the opportunity for you to say thank you for their support and encouragement and show your appreciation by giving a tip. We continue our descent by passing Mandara Hut down to Marangu Gate. There you will get the chance to have a celebratory beer while the equipment is loaded in the van and then it is off to a restaurant in Moshi for lunch where you will be presented with your certificate of achievement. After lunch you will dropped off at your hotel, where you can relax under a long, well deserved hot shower. 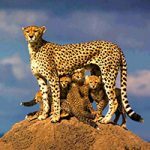 If your time in Africa ends today our transfer team will drive you back to Kilimanjaro International Airport (JRO) for your departure. 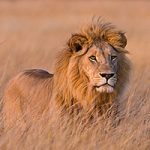 If you have booked with KCC for a safari or a few days to dissolve into the pristine sandy beaches and tropical waters of Zanzibar, we will be there to help you comfortably transition from your climb into your next Tanzanian adventure. Expedition food to include a hot breakfast, packed lunch, a hot evening meal and snack food available at camp + hot drinks. Safety equipment to include short wave radios, a satellite phone, oxymeters, oxygen cylinder, large expedition first aid kit and means of evacuation.